June 16, 2017 - Stock News Now interviewed CEO Robert L. Cucin MD for an update at the Marcum MicroCap Conference in New York City. June 15, 2017 - CEO Clips, a series which profiles the most innovative publicly traded companies in North America, will feature BioSculpture Technology, Inc. on The Documentary Channel beginning July 3-16, 2017, Monday – Friday between the hours of 6:00 am – 12:00 am. It can also be viewed online. November 1, 2016 - Spotlighted Interview with BioSculpture Technology, Inc.'s CEO. October 12, 2016 - Equities.com reviewed BioSculpture Technology in a Spotlight Article. September 12, 2016 - SNNLive spoke with Dr. Robert Cucin, President & CEO during Media Day 2016 at WestPark Capital in New York City, NY. September 1, 2016 - The S.E.C. Qualified BioSculpture Technology's Tier 2 Regulation A Offering. It will enable development and clinical testing of our patented endoscopic treatment of obesity, metabolic syndrome, and type 2 diabetes mellitus. You may view the filing, download an Offering Prospectus or purchase stock in the Offering. June 30, 2016 - BioSculpture Technology files its Form 1-A with the S.E.C. for a tier 2 Regulation A Offering to fund development and clinical testing of its patented endoscopic treatment of obesity, metabolic syndrome and type 2 diabetes mellitus. June 1-2, 2016 - For the second year in a row, BioSculpture Technology will present at the Marcum MicroCap Conference at the Grand Hyatt in NYC. June 24-26, 2015 - BioSculpture Technology will present at NIBA's Conference in Newport Beach, California. June 15, 2015 - BioSculpture Technology, Inc.'s CEO is interviewed in the Bootstrapping Segment of tastytrade.com and discusses his personal journey and commitment to developing a solution to the world's burgeoning obesity problem. April 13, 2015 - BioSculpture Technology will be presenting at the Marcum MicroCap Conference at the Grand Hyatt in NYC on Wednesday, May 27, 2015. April 10, 2015 - BioSculpture Technology, Inc.'s C.E.O., Robert L. Cucin, M.D. is to be interviewed on Clear Channel - iHeart Business Talk Radio's "The Trader's Network on April 11, 2015 and 1:30 PM EDT. You can hear the recorded interview. November 25, 2014 - BioSculpture Technology creates the informational website www.evl.technology so interested persons can follow its efforts to develop new minimally invasive methods and devices for the treatment of obesity, metabolic syndrome and type 2 diabetes mellitus until such time as the products have F.D.A. or CE approval. November 5, 2013 - U.S. Patent 8,574,223 issued teaching a Method of Collecting and In Situ Processing of Tissue Sampled from Human Patients During Aspiration Operations. October 21, 2013 - BioSculpture Technology formally acknowledges a commitment of its resources to the burgeoning obesity problem by establishing the Obesity Control Research and Development Division. The Division will consolidate and expand current efforts to develop improved methods and devices for the treatment of obesity, metabolic syndrome, and type 2 Diabetes mellitus. September 22, 2013 - BioSculpture Technology will present at the OctoberInvestFest, 2nd Annual Investor's Conference to be held at the Digital Sandbox on 55 Broad Street in NYC on October 1, 2013. July 8, 2013 - BioSculpture Technology receives allowance of Patent Application 13/315,228 Method of Collecting and In Situ Processing of Tissue Sampled from Human Patients During Aspiration Operations. February 1, 2013 - BioSculpture Technology's U.S. Patent 8,465,471 B2 - Endoscopically-guided electro-cauterizing power-assisted fat aspiration system for aspirating visceral fat tissue within the abdomen of a patient is allowed. January 16, 2013 - Dr. Cucin is using his being a plastic surgeon as a bully pulpit to call attention to BioSculpture Technology, Inc.'s products, their large volume capabilities, and the fact that reducing the waist-to-hips ratio of overweight patients can have a favorable effect on their metabolic profiles. January 8, 2013 - BioSculpture Technology's licensed patent portfolio is strengthened by the issuance of U.S. Patent 8,348,929 B2 - Method of and Apparatus for Treating Abdominal Obesity and Metabolic Syndrome in Human Patients. March 2, 2012 - BioSculpture Technology was invited to give a progress update at Elsevier's IN3 Medical Innovations 360o Conference at the Ritz-Carlton Orlando Grande Lakes in Orlando, Florida. September 11, 2010 - Dr. Cucin will present "A Safe and Faster Alternative to Bariatric Surgery: Serial Twin Cannula Assisted Liposuction" at the Live Surgery Workshop for the American Academy of Cosmetic Surgery at Pelosi Medical Center in Bayonne, N.J. on Liposuction, Fat Grafting and Abdominoplasty under Local Anaesthesia. June 9-11, 2010 - BioSculpture Technology, Inc. was invited to the IN3 East Investment in Innovation Conference for Medtech Company Innovators and Investors in Boston, Massachusetts and will present on Friday, June 11th. January 15- 18, 2009 - BioSculpture Technology, Inc. will exhibit at the 25th Anniversary Scientific Meeting of the American Academy of Cosmetic Surgery in Phoenix, Arizona. Please visit us in booth 217. September 28, 2008 - Dr. Cucin received an award for his lecture on "Perspectives and Horizons in Power Assisted Liposuction" at the Aesthetic Treatment Symposium in Busan, Korea. You can view the slide show and see the improved and results that can be achieved with serial Airbrush liposculpture® and no-undermining, limited skin excisions in obese patients. You may also download a white paper on the Airbrush® alternative to bariatric surgery in the treatment of obesity. July 21, 2008 -- BioSculpture Technology will exhibit at Plastic Surgery 2008 on October 31 - November 5 in Chicago. We hope you will take the opportunity to visit us in booth 491 if you are attending the conference. July 11, 2008 -- Design World featured a nice article on Intellimotion® control in the Airbrush Liposculpture Systems. You may download the article (1.0 Mb). April 5, 2008 -- Please peruse some recent press coverage we have received. 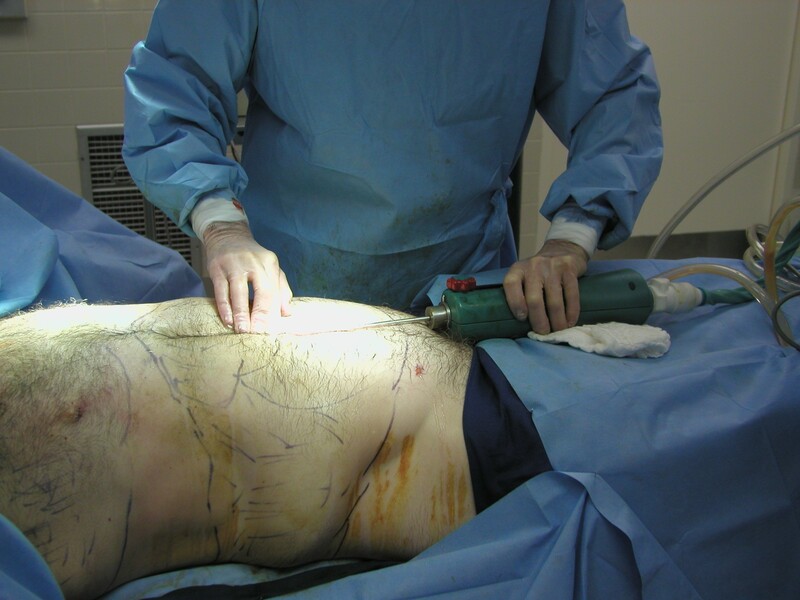 April 2, 2008 -- Surgeons who have tried Airbrush Liposculpture® report having been impressed by the increased precision and control, particularly useful in safely gaining some additional skin contraction. Most purchasers have seen reductions in their liposuction operating surgical times by 30% or more. As we are building up an inventory of demo equipment, we will no longer be hampered by the representatives in high density areas having lost their units to purchasing surgeons unwilling to give them up after their first use in surgery. We apologize for any delays in meeting initial demand and the problem has already been corrected in most areas of the U.S.
March 5, 2008 -- Please visit us in Booth 146 at the Aesthetic Society's 2008 Annual Meeting in San Diego. November 14, 2007 -- Cosmetic Surgery Times summarizes the advantages of Airbrush Liposculpture® Systems and gives a historical perspective in a candid and colorful interview of BioSculpture Technology's C.E.O. Download Article. October 24, 2007 -- The Airbrush Liposculpture® System receives a warm welcome at the annual ASAPS event. Dr. Cucin was there personally to greet and receive feedback from his colleagues. He wishes to thank all our visitors and promises to make demonstration units available in their geographical areas as soon as possible. September 26 -- Please visit us in Booth 139 at Plastic Surgery 2007 in Baltimore (October 24-31, 2007) where we'll be exhibiting the Airbrush Liposculpture® System (product brochure, 1.2MB) . September 14, 2007 -- Yahoo featured coverage of our Airbrush Liposculpture® System which makes liposuction more gentle. September 13, 2007 -- Yahoo featured coverage of our Airbrush® Multicore Cable Connector Assembly developed for plastic surgery but having much more broad applicability. July, 2007 -- BioSculpture Technology, Inc. announces domestically produced Airbrush® products will be generally available for sale in August. See Press Release 5 for more detail. July 6, 2004 -- A production schedule with a strict QSM which is fully ISO9001:2003 and ISO13485:2000 compliant developed for a flawless launch of the Airbrush™ Liposculptor. See Press Release 4 for more details. July 28, 2003 -- BioSculpture Technology, Inc. received clearance on its 510(k) for sale of the Airbrush™ Liposculpture System. See Press Release 3 for more details. BioSculpture Technology, Inc. accepted into Columbia Greenhouse for sponsorship. See Press Release 2 for more details. May 24, 2001 -- BioSculpture Technology is spun off from Rocin Laboratories, Inc. You may view the Spin off announcement for more details. These are the product announcements we've made. You may want to search for topics by keyword. Airbrush® Quick Connect Multicore Cable Connectors will be made available for aviation, defense military, and automotive applications as of July, 2007. Airbrush® Liposculptor II achieved a 52% volume reduction from Airbrush™ Liposculptor I with the same power packed into a more streamlined ergonomic design. Airbrush® Liposculptor is scheduled for introduction in October, 2003. See the Airbrush® Product Launch for more details. This site is in the process of creation and evolution as is our company. As our product line grows, you can expect to see frequent changes and additions. An enormous amount of research, product development and testing has already been done and will continue to be done. You will see the products and advances that result from it here. July 7, 2016 - An Investor Page added to the Corporate website in light of the Company's filing of its Form 1-A for a Tier 2 Regulation A Public Offering. July 30, 2010 - Website redesigned, updated and social media links added. May 24, 2001 - BioSculpture Technology, Inc. Establishes Internet Presence, See the press release for more details.